Master Design Publishing (MDP) is a hybrid publishing company. 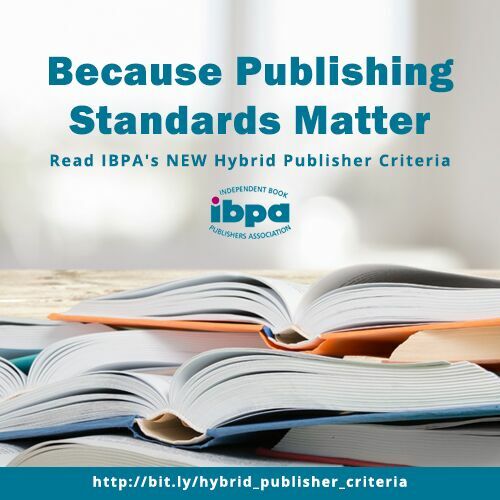 Unlike self-publishing companies that publish any and all submissions, we only publish manuscripts that our extensive professional experience indicates are ready for the accelerated publishing service we provide. All of our books are editorially curated, professionally designed, and masterfully marketed. We consider manuscripts that are of high caliber writing by authors seeking to publish. Our close communication throughout the process, as well as our complete approach is what sets us apart. With over 75 years of combined experience in editing, publishing, and marketing, why trust anyone else? We consider the following types of Christian books: apologetics, Bible studies, Church renewal, devotional books, discipleship, doctrinal, exegesis, homiletics, leadership, missionary, pastor’s helps, prayer, reference, scholarly, sermons, spiritual warfare, and theology. Please be advised that the following genres will not be considered: Science fiction, Satire, Drama, Action and Adventure, Romance, Erotica, Mystery, Horror, Guide, Travel, Children’s, Science, History, Math, Anthology, Poetry, Encyclopedias, Dictionaries, Comics, Art, Cookbooks, Diaries, Journals, and Autobiographies. We are not against these genres of books, but they do not fit within our publishing parameters. To submit by email to submissions@masterdesign.org, please include in the body of your email (not as attachments) the following. You MUST follow these guidelines. Manuscripts not following these guidelines will be rejected. Before submitting your book, please carefully proofread for spelling errors. Headings must consistently be capitalized, references must be formatted consistently from chapter to chapter, and treatment of like elements must be consistent throughout your book. Any lengthy additions should be incorporated into the book prior to submission. Please also submit an electronic copy through the internet or on an Windows or Macintosh-compatible disk. An exact hard copy must accompany online versions. All illustrations, photographs, and so on, should be submitted in Photoshop format, or at least as a jpg, tiff, or ai format. Please don’t embed your graphics in the word-processing program. If electronic submission is impossible, please provide all illustrations in duplicate in a form suitable for reproduction, preferably of such a size that the same degree of reduction (for example, seventy-five percent of the original size) can be applied to all of them. Illustrations should not exceed 8- 1/2 x 11 inches. Illustrations reprinted from other publications must be credited. It is the author’s responsibility to obtain permission to reprint such illustrations. Include your (and your coauthor’s) full name(s) (for publication) and the complete address of the author to whom proofs and correspondence are to be sent. Abstract – Include a concise one-paragraph abstract of no more than 500 words describing the general thesis and conclusion of the book. Dedication – If the book is to include a dedication, it should appear after the copyright page. You might want to include a quotation at the beginning of the book. It should appear here. If the epigraph is lengthy or if the possibility of copyright violation exists, you must obtain permission to use the quotation. Foreword (be sure you spell this word correctly) – A foreword, usually written by a person other than the author, is a short (usually no more than four book pages in length) statement about the book or the field. Preface – The preface, written by the author or editor, contains the research methods, the reasons for undertaking the work, and permissions granted for the use of copyrighted materials. Also included should be thanks to colleagues, associates, and others who assisted in creating the book as well as persons and institutions who provided financial support. Introduction – A substantive introduction that includes information about the field and, in the case of collective works, about the papers included can also be included. An introduction should portray the broad significance of the book. Appendix or Addendum—A supplement of some kind to the main work. An Appendix might include source documents cited in the text, material that arose too late to be included in the main body of the work, or any of a number of other insertions. In the desire to reach a broad readership and ensure high standards of accuracy, quality, and consistency, books that have been accepted for publication by MDP are carefully read for vague or ambiguous statements, inner contradictions, faulty sentences, style, capitalization, organization, correct spelling, grammar, punctuation, textual clarity, appropriate use of figures and tables, correct use of abbreviations, acronyms, and symbols and other lapses that sometimes creep into the best of manuscripts. Depending on how carefully the manuscript has been prepared, the editor can spend from three to five weeks or even longer on one manuscript. It is here that the author’s care in the preparation of the manuscript will contribute materially to speeding this work and keeping costs down. Once submitted, most manuscripts will be copyedited or proofread and sent to the author and the editor (where applicable) for review. Most manuscripts include a number of queries from the copyeditor regarding items that are unclear or incomplete or need further attention. These queries must be answered and the original copyedited manuscript returned before the book can be turned over to production. It is important that the author answer all queries and that unapproved changes be challenged now. By doing so, later alteration expenses (that might be charged to the author) can be avoided. After all copyediting questions have been resolved, the manuscript is turned over to the typesetter for preparation of galley or page proofs. Rewriting and making extensive changes other than correcting typesetting errors will incur significant cost. These costs are passed on to the author. In addition, such corrections cause a delay in publication.